Join us on Friday, October 27th, 2017 at 7th and Spring Garden Sts. for the second annual Poe Arts Festival. 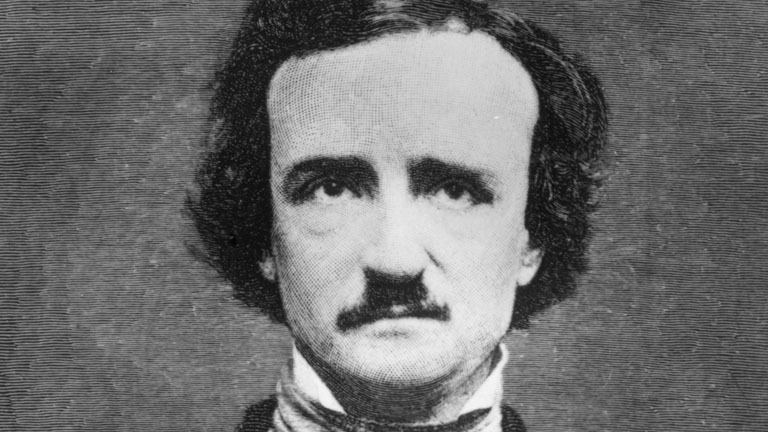 This event is a ghoulishly macabre celebration of the life and work of Edgar Allan Poe, literary genius and master of mystery, as well as of the lasting inspiration he has provided for generations of artists from Philadelphia and beyond. The event will make use of the German Society's historic building to showcase Poe’s poetic legacy and imaginative flair in a variety of forms, including performances, installations, music, talks, tours and other activities. In conjunction with the German Society's Poe Arts Festival, the Edgar Allan Poe National Historic Site will be providing free, first come, first served "haunting" literary tours of the home from 6:30-9:00 p.m.
Poe-inspired Art Installation by artists: Beata Szpura, Nancy Doniger, Dave Kopka, Donna Miskend, Anna Rich, Janusz Skowron, Valerie Sokolova, Madeline Sorel, and Judith Wilde; Steampunk Sideshow, including performances by Stilt-walker, Theatrical Belly Dancer Calixta Starr, and Clown Babe MacKenzie Moltov; Iron Age Actors: Scene from George Lippard's Quaker City; Costume Contest; and Recitation of Poe’s the Raven performed by Poe himself! Spectacular vendors on the Terrace by PoeHead.com, Eastern State Penitentiary, Food, Beer, and more!